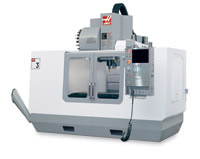 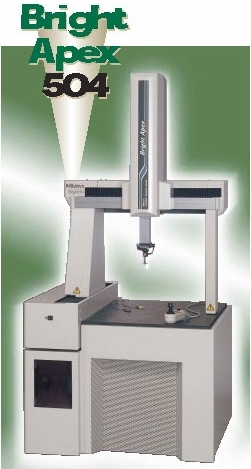 HAAS VF3 40" x 20" x 25"
HAAS VF2 30" x 16" x 20"
OKUMA Crown BB-10.63" X 19.68",(XZ) 24 HP 2.750" max bar capacity. 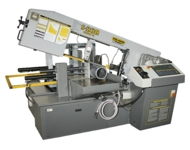 The S20-A from Hyd-Mech our saw workhorse, fully automatic, 5HP variable drive provides exceptional cutting performance on a variety of materials. 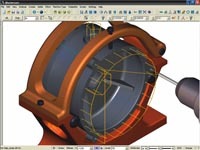 Mastercam’s streamlined CAD engine makes design work easier than ever before. 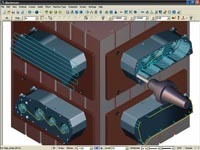 Each piece of geometry you create is “live”, letting you quickly modify it until it’s exactly what you want. 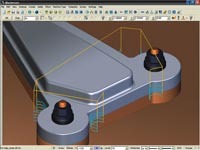 And with traditional functions consolidated into a few simple clicks, Mastercam simplifies the creation of even the most complex parts. 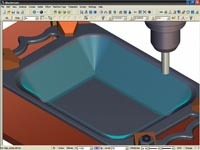 Built-in data translators for IGES, Parasolid®, SAT (ACIS solids), AutoCAD®, DXF, DWG, InventorTM files, SolidWorks®, Solid Edge®, KeyCreator®, Rhino®, STEP, EPS, CADL, STL, VDA, and ASCII.